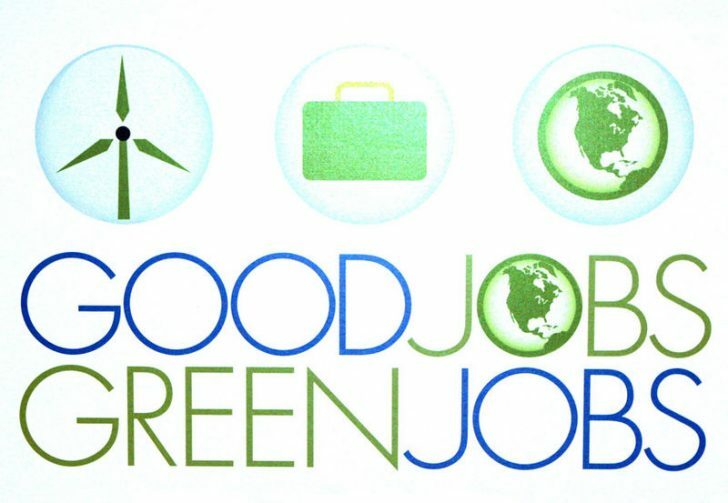 Where are the Green Jobs ?? Job seekers continue to pursue “green jobs: in sectors like renewables and conservation with varying degrees of luck. What may be a surprise to many, Texas is leading the way in sectors like wind power, currently supporting over 24,000 such jobs back with over $42 billion in capital. These jobs are just a small part of more than 10 million clean energy jobs worldwide in 2018. The clean energy sector continues to be one of the highest growth industries in the U.S., with many people unaware of the variety of opportunities available to them. But renewable energy is only a small portion of the professional jobs fighting for environmental causes. There are dozens of different career paths that job seekers should be aware of that contribute to the fight against climate change. Students, job seekers, and companies can view a recently published recap listing the best climate change jobs. The list breaks down careers by four categories: field jobs, office jobs, high paying jobs, and entry-level jobs. You do not need a doctorate to have a meaningful impact on the environment. For example, environmental engineering technicians make a median salary of $50,230 and have a projected growth rate of 13 percent over the next 10 years. They assist in collecting air and water samples to assess pollution. Social and community service organizers also play a critical role in fighting climate change. They usually require an associates degree and has a projected growth rate of 18 percent. Organizers galvanize public support and educate their community about pressing local and global environmental issues. Environmental engineers have a median salary of $86,800 in a field with an expected growth rate of 8 percent. Most environmental engineers hold a masters degree and are skilled at preparing environmental investigation reports, designing projects that help protect the environment, and inspect industrial facilities to make sure they are up to code. Sustainability specialists typically have a bachelor’s degree with a median salary of $55,000 a year and can expect a 9% growth in job opportunities over the next 10 years. Sustainability specialists tend to work in the private industry, helping businesses make cost-effective decisions that also promote environmentally friendly policies.